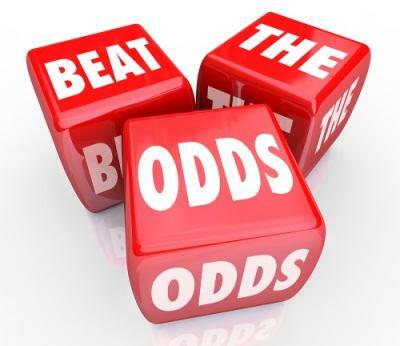 What Casino Game has the Best Odds of the Player Winning? This is a fairly simple question, but it’s representative of one of the most central pillars in all of gaming: statistics. The difference between a couple percent may not seem like a lot at first glance, but when you consider that millions of dollars can hang on the swing of a single percentile, you start to realize why gamblers want to know these details, but why the professionals need to know them. Chances are if you’re reading this, you understand the above already, and the search for those elusive magical figures is exactly why you are here! So let’s get granular and find out which casino game has the best odds of the player winning. Note: all of the statistics that follow are representative of the house’s edge. So the higher the number, the more likely the house is to win. A game with no advantage to the house would equal zero percent. Unfortunately, there is no game like that! The house will always have a slight edge. With reference to the above list documenting what casino game has the best odds of winning, it is important to keep in mind that while statistics is easily one of the most important parts to playing casino games, they are not the only variable that you should pay attention to. Sometimes players get too caught up in statistics, putting such an onus on adhering to the numbers that they lose the still-important aspect of using your intuition to “feel” out those instances where even though the numbers are saying one thing, the universe is pointing to another outcome. After all, it’s the space between the official numbers where the real money is made. It’s a tightrope walk when looking at profits, but fundamentally the risk and the portion of the experience that is unknown is what is responsible for most of the fun in an online gaming experience. So, sweat the details, but don’t get carried away completely.